A storybook and castle set fit for a princess! Apsiring princeses will adore this sweet story and playset. It's Princess Lara’s birthday and her friends are throwing her a big surprise party! 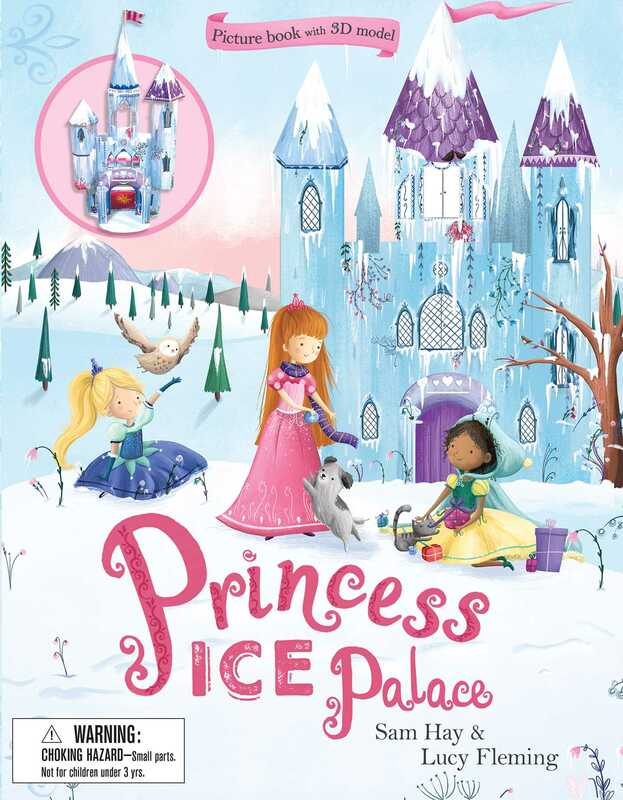 Young readers can play along with the story using the included pieces to set up their own princess ice palace and press-out characters. This sweet story and interactive playset will provide hours of pretend play fun. Sam Hay grew up in Scotland and worked as a journalist before becoming a children's author. Sam now lives in Wales. She has written more than twenty books including the Undead Pets series, the Screaming Sands trilogy, and Bumble the Brave Kitten. Lucy Fleming graduated from the University of Lincoln with a first class degree in illustration and signed with the Bright Agency in the summer of 2014. Since then, she has worked for clients such as Bloomsbury, Little Tiger Press, ABDO Publishing, Igloo Books, Simon & Schuster, and more.